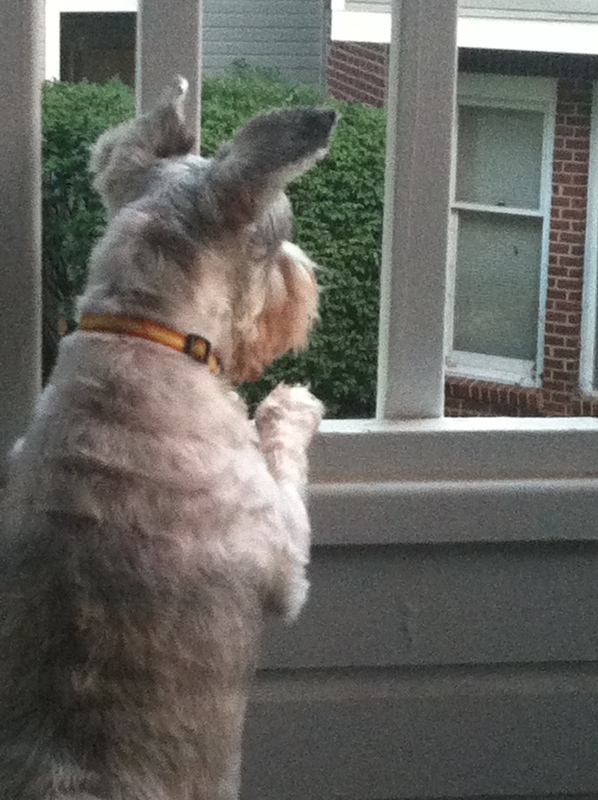 Foster dog on border patrol like a sentinel. Without fail he keeps watch. I’m doing the Food Stamp Challenge!